Running your own business as an independent contractor driving for Uber or Lyft rideshare programs can be personally and financially rewarding. However, getting paid to transport strangers to their destination can pose significant risks of exposure to violence and harassment. Unfortunately, both highly profitable corporations are limited in what they can do to protect the safety and well-being of their drivers who are often left to go it alone when trouble arises. This is not to say that Uber and Lyft do not want to provide beneficial safety training to drivers to ensure they remain safe while working. However, the Federal laws designed to keep workers safe also define the difference between a company employee and an independent contractor. The federal law states that providing safety training to an individual would classify or designate them as an employee. However, both rideshare programs have built their businesses on classifying their drivers as independent contractors working for an on-demand transportation company. Both Uber and Lyft maintain detailed records of every accident, threat, injury, death, or incident involving their drivers and passengers. Unfortunately, neither company releases the hard statistics. Fortunately, federal and state regulators do. The Bureau of Labor Statistics (BLS) released a report revealing that more than 3100 taxicab drivers in the United States suffered injuries or died on the job in 2014. Approximately 5.6 percent or 180 drivers were injured through a violent act. 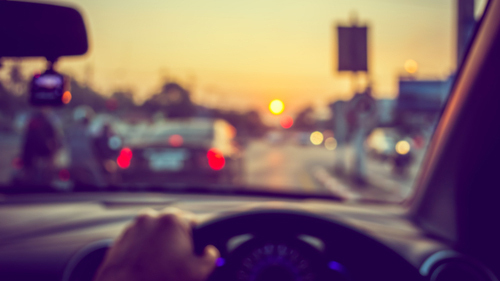 Rideshare drivers can control some of the risk involved in transporting strangers, by not working overnight hours or avoiding dangerous parts of town. However, not picking up bar patrons or refusing to drive to distant rural locations can also cause a major cut in pay. Even so, simply avoiding precarious situations is no guarantee of safety. In fact, many dangerous accidents and incidents occur in broad daylight in heavily populated areas. Because of that, Uber and Lyft drivers are usually left to their own devices to protect themselves against the unexpected that could cause them pain, injury or property damage. At the initial launches of Uber and Lyft ridesharing programs, each company advertised themselves as a safer, cleaning and friendly alternative to riding in a taxicab. Each company developed a rating system to provide riders and drivers peace of mind. Through ratings, a potential passenger or rideshare driver could be kicked off the mobile phone app platform for unruly behavior, bad driving or probable criminal activity. However, with the increased popularity and need for rideshare programs, the safety measures that were once the backbone of Uber and Lyft have followed by the wayside. In the beginning, when only a few drivers picked up a limited number of passengers, the company’s tracking abilities and safety were easy to manage. As demand for more Uber and Lyft transportation requests grew, each company was faced with a continuing need to recruit and retain as many drivers as possible. Many times, filling the demand was more important than taking the time to make sure that the driver understood that hazards and unsafe conditions in providing rides to strangers. These companies have failed miserably in providing safety training to the new and existing drivers. So, if both ridesharing programs are not interested in changing their business model and provide safety tips and training to its independently contracted drivers, what safety measures can the driver take on their own? For years, cab drivers have been using proven safety measures to protect themselves when transporting customers. These measures include turning the vehicle's engine off, grabbing the keys and stepping out of the cab prior to kicking a passenger out of the back seat. Getting out of the cab first before instructing the passenger to leave can avoid the possibility of being attacked from behind. However, taxi companies operate differently than rideshare programs in that they oversee the taxicab vehicle and the cab driver as an employee and ensure that each driver routinely receives rigorous training and actively discusses safety measures to protect themselves when working. In addition, most taxicabs are retrofitted with safety Plexiglas dividers between the front seat and back seat and record the interior of the cab using video cameras to protect the company, driver, and passengers. If the taxi driver can point to an installed video camera and tell the unruly passenger their actions are being videotaped, that safety measure can be a great deterrent to an already escalating scary situation. Some cab companies install hard wire GPS units in their taxis that provide the vehicle dispatcher information about the car’s location if an emergency arises. This avoids the need to rely on GPS phone technology that is easy to switch off. Unfortunately, Uber and Lyft and other ridesharing companies fail to provide these precautionary measures to ensure the safety and well-being of their drivers. The ridesharing companies are limited in their capacity to provide drivers any type of safety training so as not to disrupt their business model that is based on independent contractors. Providing formal safety training methods might jeopardize the employment classification of an independent driver that the government and Internal Revenue Service (IRS) would deem to be a full-time employee. If this occurs, the fate of the company’s future might be at risk if the federal government forces them to provide health insurance and unemployment benefits while collecting income taxes for the IRS. Alternatively, if Uber and Lyft continue to allow their drivers the ability to maintain and control their work schedule, insurance and vehicle maintenance, the court system when faced with deciding the outcome of a related lawsuit is more apt to side with the rideshare company and classify the drivers as independent contractors and not employees. So, drivers need to take the initiative on their own to improve their safety while working. This might include installing dashcams that video records moving traffic on the road ahead and other cameras that record the interior of the cab. If you drive for Uber or Lyft and were injured on the job you may be facing various legal hurdles especially if you’re relying on workers compensation insurance to recover your damages involving medical expenses and time away from work. This is because the business model that both ridesharing programs operate under is designed to save money by employing independent drivers through contractual agreements. That’s not to say that both Uber and Lyft have not faced numerous lawsuits filed by angry drivers who would prefer to work as an employee with benefits. The health and well-being of most workers in typical jobs are protected by Workmen’s Compensation (Worker’s Comp.) that covers their medical expenses and lost wages/salaries when they are injured or killed in a work-related accident or incident. Currently, state-regulated Worker’s Compensation policies provide coverage to nearly 130 million workers in the United States. This includes benefits to injured workers that provide two-thirds of their weekly salary/wage and payment of medical bills along with financial compensation for temporary or permanent disabilities. Illinois Uber and Lyft drivers who suffer from a work-related injury usually have only their auto insurance or medical insurance policies to rely on for coverage. Unfortunately, these policies are usually limited and likely will not cover all hospital expenses and rehabilitation costs. Additionally, most car and medical insurance policies will not reimburse the independent contractor with funds to cover their living expenses if they missed work because of their commercial work-related injuries. As a driver for Uber and Lyft, who suffered serious injuries in a vehicle accident, you are likely wondering to what extent your rideshare “employer” will participate in your healing and recovering damages. In many cases, filing a lawsuit against the rideshare company will be fruitless in obtaining the financial compensation you deserve. That is because these cases tend to be highly complex in determining who is or what is at fault for causing the accident. Because of that, many Uber and Lyft rideshare drivers will hire a personal injury attorney who specializes in these types of accidents. An attorney working on your behalf can handle every aspect of your case for compensation and determine if you can file a lawsuit against the ridesharing company or others involved in the accident. Most importantly, your lawyer will protect your rights, investigate the accident and hire experts to determine who is financially liable for causing your harm. There may be other parties at for causing the accident including other drivers, your passengers, roadway maintenance crews, the vehicle’s manufacturer and/or others. To determine liability, your lawyer may hire investigators to reconstruct the accident or incident to provide valuable data to construct a solid case for compensation. Fortunately, these cases are handled on contingency, so there are no upfront fee or retainer, which allows you to not worry about legal costs while you heal. Involved in a Rideshare Accident? Whether you feel that you been injured or not in the crash, it is imperative that seek out immediate medical attention by requesting that an ambulance be sent to the scene of the accident so the EMTs can transport you to the nearest emergency room for evaluation. This is because you might not know that you are suffering from a serious concussion, bleeding internally or experiencing some other life-threatening condition until it is too late. Undergoing a doctor’s evaluation and receiving a prognosis immediately after the accident will make it much easier to prove to a judge and jury that you suffered significant injuries caused by the negligent actions of others involved in the crash. It is also important to contact law enforcement to file a police report concerning what happened to cause the accident. A police officer will determine during their initial investigation whether someone should be cited at the scene of the accident or afterward for causing the incident with injuries. It is also essential that you collect all pertinent information from others involved in the accident including passengers, other drivers, and eyewitnesses. If possible, take photographs of the accident scene immediately after the incident. Be sure to include road hazards, traffic lights, weather conditions, and the area surrounding the vehicle after it was impacted in the collision. Never speak to any party at fault for causing the accident or their insurance carriers except to provide your personal information like your name, driver’s license, vehicle registration, and insurance carrier. This is because anything you say to them, even if seemingly harmless, could be used to dismantle your claim for compensation and leave you with nothing. To avoid misspeaking to the defendants in your case, consider hiring a successful attorney who specializes in these types of accidents as quickly as possible to turn the entire case over to them. If you are driver working for Uber and Lyft and have suffered injuries or damages, you are entitled to receive legal assistance and representation to file a claim for financial compensation against all parties at fault for your damages. We encourage you to speak with our reputable rideshare accident injury lawyers during an initial free consultation to discuss the merits of your case. Our attorneys can answer any questions you have about receiving financial recompense to cover your damages, losses, and injuries. Our law firm works on a contingency fee basis. This means there are no out-of-pocket expenses paid if we are unable to negotiate an acceptable out of court settlement or win your case in front of judge and jury. Our “No Fee / No Pay” Guarantee ensures we do not ask for any payment upfront. If you lost a loved one who died while working as a driver for Uber or Lyft, you and other surviving family members are entitled to file a wrongful death lawsuit against those who caused the fatality.